When living in the sunshine state (or anywhere else in the world for that matter) having fun in the sun is simply part of life, but you need to make sure that you take care of your skin at all times. Being outdoors or playing at the beach is not the only way for your skin to be exposed to harsh UV rays. For example, your skin can be exposed to damaging UV rays while you drive, and most people would never consider wearing sunscreen while merely driving to and from their specific destinations. This is why you need to make sure that you have the best window tint on your widows to protect your skin from further sun damage. UV rays don’t only affect the interior of your boat, vehicle, or home causing your interiors, furniture, and fittings to fade, but they can also negatively affect your skin on a cellular level and can cause wrinkles, age spots, and other skin disorders. Approximately 90% of skin cancers can be attributed to UV rays. While you may not be that concerned about your interior, you definitely don’t want to expose yourself or your family members to harmful rays. Without a window film, your windows can block just under 40% ‘s worth of UV rays, this is why it’s important to have your windows tinted. With its long lifespan and extreme durability, ceramic window film can be regarded as a top of the line window tint. It not only assists in heat reduction while providing near crystal clear transparency, it is also capable of eradicating approximately 90% of infrared rays. This tint is proven to be 99% effective against UV rays. 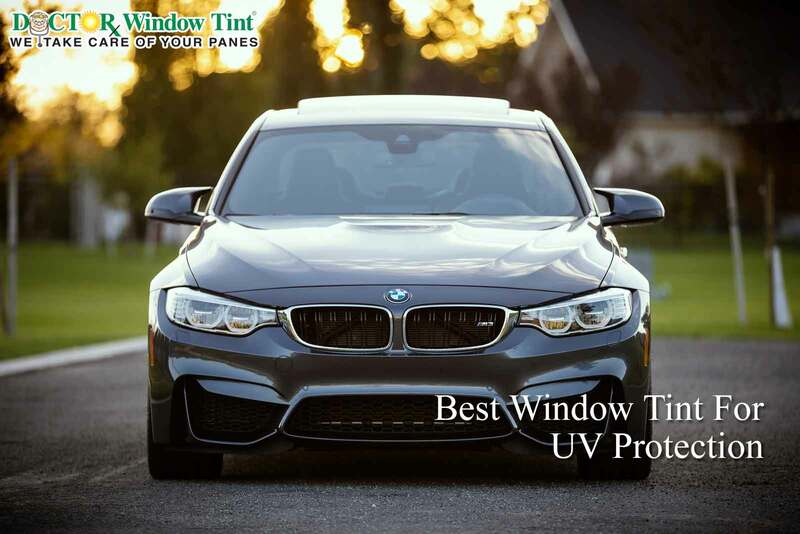 When taking into consideration the benefits of ceramic window film as well as it’s extreme durability, it will be slightly more expensive than the other tints, but this tint will provide you with the best protection possible. While better than metallic or dyed film, carbon window film can reduce the amount of heat that passes through your windows by approximately 60%. It also does not impede cellphone or GPS reception and is significantly more durable than dyed film. Metalized films reflect heat, which is quite handy when living in the Sunshine State, and it is slightly more effective than dyed window film. However, you need to be aware that metalized film will interfere with cellphone network and GPS reception due to the tiny metallic particles it is comprised of. This is a more cost-effective window film and may be a little less functional than other types of window tint as it blocks out the light. However, UV rays will still be able to affect you. This film is perfect if you would like to alter the aesthetic appeal of your windows, but it is not suited to sun protection for you or your loved ones. There are a variety of window films available, but not every film is capable of blocking 99% of all UV rays. When it comes to cars and boats you also need to remember that the opacity of your tint will need to be in line with local and state regulations. Speak to your local tinting company for more information if you’re unsure about the tint that best suits your needs and your budget but risk of skin damage by waiting to get your windows seen to. Doctor Window Tint is a mobile window tinting company, that will come to your door to tint your windows. With a professional and certified team of film installers that can handle all of your window tinting needs. We take care of your panes so you don’t have to! So, don’t hesitate to contact us today at (305) 827-8468.